What happens when you own a shop for 25 years, sell it, then plan to try something new? 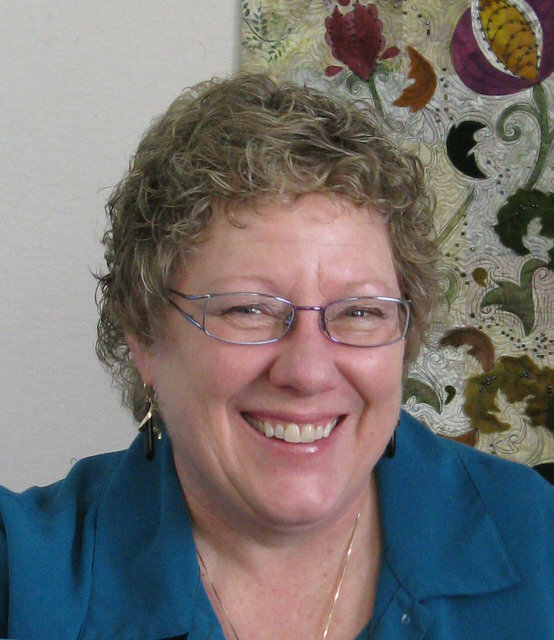 Beth Schillig tried, but found she couldn't escape the quilting bug and has rediscovered her passion. Although I never considered myself a quilter until the past few years, fabrics, threads, and sewing machines have always been a part of my life. I owned the Bernina dealership in Columbus, OH for 25 years. I have bragging rights; I sold Libby Lehman her first Bernina! Six years ago I sold the business with intentions of learning something new, something that did not involve sewing. I went into immediate caregiver mode for my Mother, an advanced Alzheimer's patient. She spent 4-5 days a week with me and would iron scraps of fabric. When she was not looking I would scrunch some back up and throw them in the basket. She would keep ironing and whistling, she was happy as a lark because she was "helping me quilt." This gave her life meaning and purpose and isn't that what we all want? To keep myself busy, I began piecing some quilts. 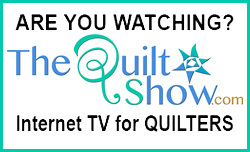 The quilting bug bit! Quilting quickly took over my life. Now I am creating my own pieces and exhibiting at National shows including Houston and Paducah. 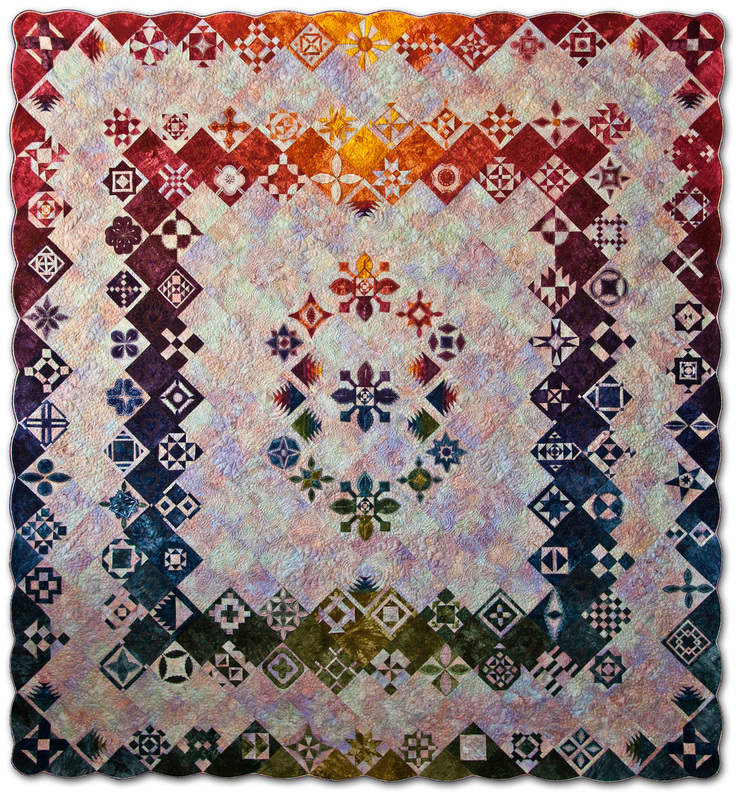 My quilt JEEPERS...It's Jane! 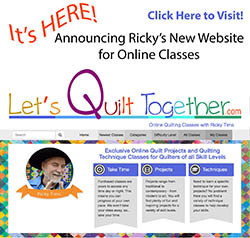 is featured in the same section as Ricky's in the International Quilt Scene Magazine. What an honor! My mother taught me to sew when I was very young. 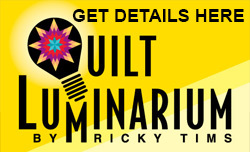 Then at the end of her life, her Alzheimer's disease guided me into the quilting world and set me on an exciting new career path. Thanks Mom! Love your story of life's events gone full circle. What you mother gave to you, is now given back to her in that very special way that I am sure brought peace to both of you. Bless you for being a wonderful daughter for your mother in her sunset years. Thank you for sharing this touching and beautiful story. To have made those difficult years for your mother more enjoyable and allowing her to feel needed - what a blessing for both of you! My mother is 93 and each day that we have her is a gift! What a wonderful story and what a wonderful person to care for your mother so loveingly and come out of it a much inspired and creative person. God certainly has surprises for us when we least expect to find one. What a blessing you were given in such a difficult time. Marvelous to read your story of you and your Moom. The love came through in spite of the illness that she had. Thank you for sharing! Very touching story about you and your mom. I took a class with Beth close to 30 years ago. She was by far the most talented on in the class. I later went to her shop where she was a great teacher and very helpful. She sold me my first Bernina! Then I moved across the country and couldn't visit anymore. I am glad to see she is still sewing and enjoying it. She is one talented lady! !